The Black Knight Butterfly Bush is a small to medium-sized shrub that can be grown in all but the coldest states and will be covered in beautiful purple-black flowers from mid-summer to the first frost. The flowers are in large spikes and have a beautiful sweet smell. They are very attractive to butterflies, which will swarm in your garden to drink the rich nectar of this plant. It is very drought tolerant and thrives in hot, dry locations. It can be grown as a specimen or planted in several places around the garden. It can also be grown as an easy screen. It should be cut back hard in early spring and that is all the care it needs. 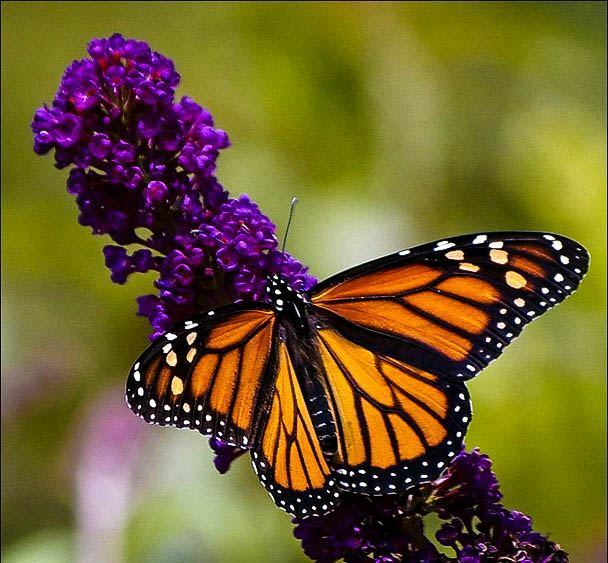 This plant will bring beauty, perfume and butterflies to every garden. 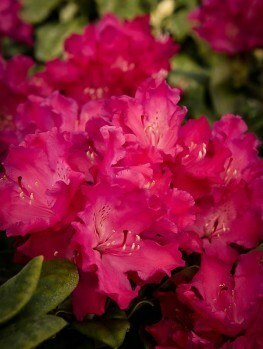 Spring is a season of flowers – many trees, shrubs and bulbs flower at that time and the garden is full of bloom. But as summer comes, and into fall, there is a shortage of flowers and this is where the Black Knight Butterfly Bush comes to the rescue. From mid-summer to frost this plant will grace your garden with its huge spikes of deep purple scented flowers. 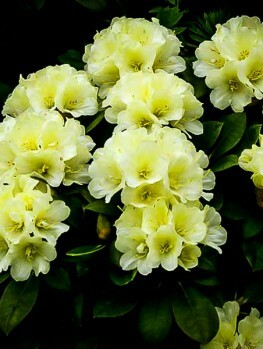 This is a very easy shrub to grow that will thrive in all conditions and never stop blooming. It loves sun and heat and needs no care to fill the garden with its striking flowers that will attract not only you and your neighbors, but hosts of butterflies too, which simply love this plant. Your children too will be fascinated and attracted by the colorful butterflies swarming around your Black Knight Butterfly Bush. The Butterfly Bush (Buddleja davidii) grows wild in the south-west of China and was introduced into America around 1900. The original plant has lilac flowers, but skilled plant-breeders have produced many colors. ‘Black Knight’ was bred in Holland around 1959 and received the prestigious Royal Horticultural Society Award of Garden Merit in 1993. 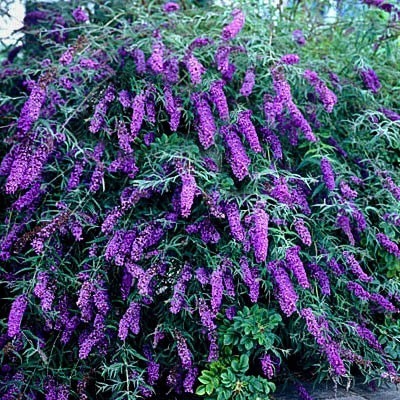 It is the darkest purple of all the forms of Butterfly Bush and its amazing color will stand out in any garden situation. Black Knight is an amazing grower; it will grow at least five feet in a single season and make a spectacular display. 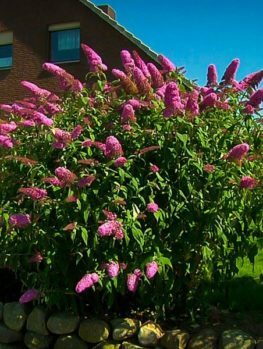 Left to grow your Black Knight Butterfly Bush will grow to 12 feet tall, with an upright, arching habit and with the ends of the branches weighed down with the profusion of flowers. 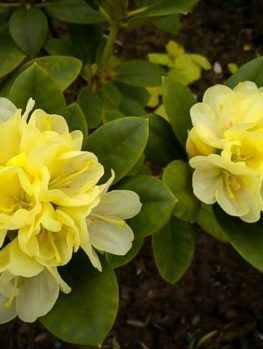 This plant is happy to grow in sunny, dry locations and once established – which will happen quickly – it needs no care except for pruning in spring. It has no insect pest or diseases. It is also very resistant to deer, so it is a good choice if you have deer in your neighborhood. Black Knight Butterfly Bush can be grown at the back of a flower garden or among other shrubs and hedges, as long as it is in the sun. It forms a clump of arching branches with 8 inch flower spikes all along the upper stems. The leaves are 8-10 inches long, spear-shaped and velvety to the touch. It flowers continuously from mid-summer to the first frost. The many tiny, tubular flowers are gathered together in large, 8 inch long spikes that grow on short stems from the main branches where the leaves are attached. These flowers are sweetly scented and full of nectar, which attracts hundreds of butterflies, including Red Monarchs and other important and rare species. If you want to help the butterflies, then plant this shrub. 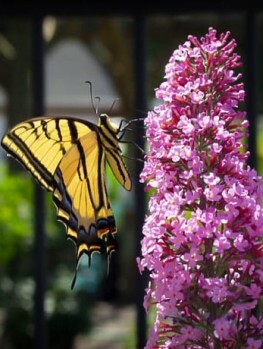 The Black Knight Butterfly Bush will grow in zones 5 through to 9. It can even be grown in zone 4, but it will not become as tall. 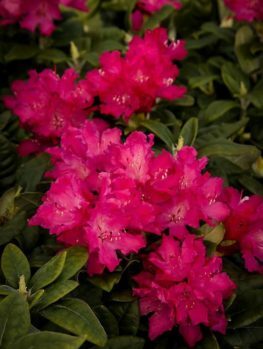 In the colder zones, usually zone 5 and 6, it may die back during the winter, but this doesn’t matter at all – the plant will be stronger and have larger flowers when it shoots back from the base. 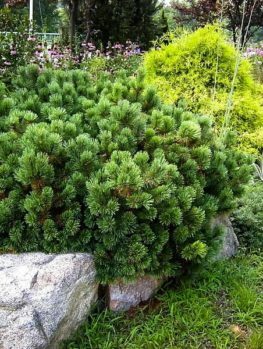 It is very drought tolerant and will thrive in any kind of soil, even very sandy soils. It does not like wet soil or shade, so use it to bring beauty to the hottest, driest parts of your garden where other plants will not grow. When planting your Black Knight Butterfly Bush, choose a sunny location as that way you will get the most flowers for the longest time. It needs no fertilizer or special treatment at all. In zones 5 and 6 the branches will die-back during the winter, but the roots are completely hardy, so the plant will grow back from the ground and easily reach 5 feet or more in a single season. Plants that re-grow from the ground actually look more attractive and have bigger blooms, so most gardeners cut them back to the ground each spring, or in milder areas you can leave a few of the strongest branches a foot or two tall, in which case the plant will probably reach 8 feet by fall. To plant your Black Knight Butterfly Bush dig a hole two or three times wider than the pot. Place your plant in the hole, replace most of the soil and firm it well down. Then water thoroughly, let the water drain away and replace the rest of the soil. Water from time to time during the first season, but after that it needs no help at all. Black Knight Butterfly Bush is such a special plant that only the exact plant will have the right color and growth rate. So it must be produced directly from trees absolutely known to be right. Our trees are grown the correct way, from branch cuttings of these special trees. That way every tree is identical to the original and you can be sure you will get those amazing purple-black flowers. 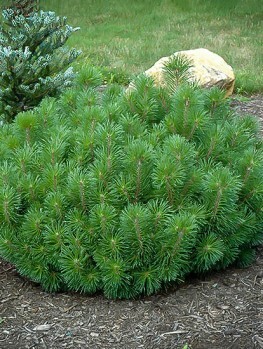 However, these take longer to produce, so avoid cheaper, seedling trees that will only be a disappointment. At The Tree Center, we sell only trees that are true to the original form and we have a wide range of sizes to give you the best plant for your purpose. However we are constantly renewing our stock so our customers get fresh, healthy plants, so supplies of this tree may be limited. To avoid disappointment order now.